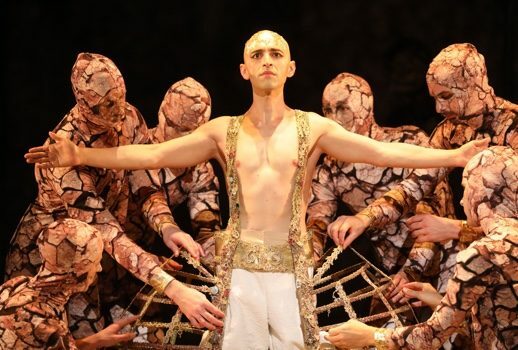 Highlights of the Metropolitan Opera’s 2019-2020 season will include the company premiere of Glass’s Akhnaten featuring Anthony Roth Costanzo and first local Turandot of Anna Netrebko (not pictured), according the always intriguing Met Future Wiki. More recently added data includes, in 2017-2018: Ekaterina Semenchuk as Santuzza; debuts of Etienne Dupuis and Luis Chapa; returns of Markus Werba, Elchin Azizov and Elena Manistina and possibly Doris Soffel as Klytamnestra. In 2018-2019 we an expect a centenary Trittico in late fall featuring Marcelo Alvarez as Luigi; Edith Haller‘s debut as Gutrune; the return of Karel Mark Chichon and the debuts of Cornelius Meister and Omar Meir Wellber.